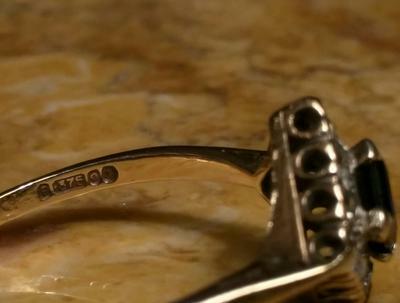 This ring was handed down to me. I can't find anything about the hallmarks or stones. I've included the best pictures I can take of them. 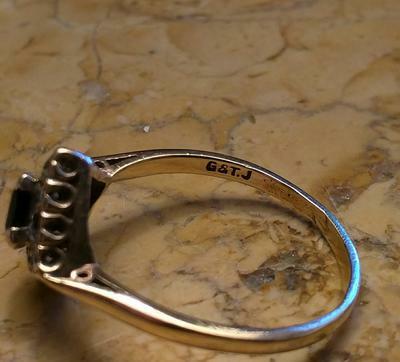 If anyone has any info on the ring I appreciate it. 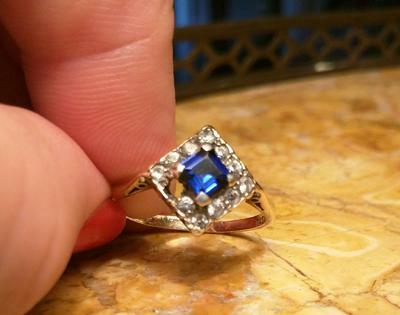 I assume it is Sapphire and diamonds. One stone has fallen out over the years.